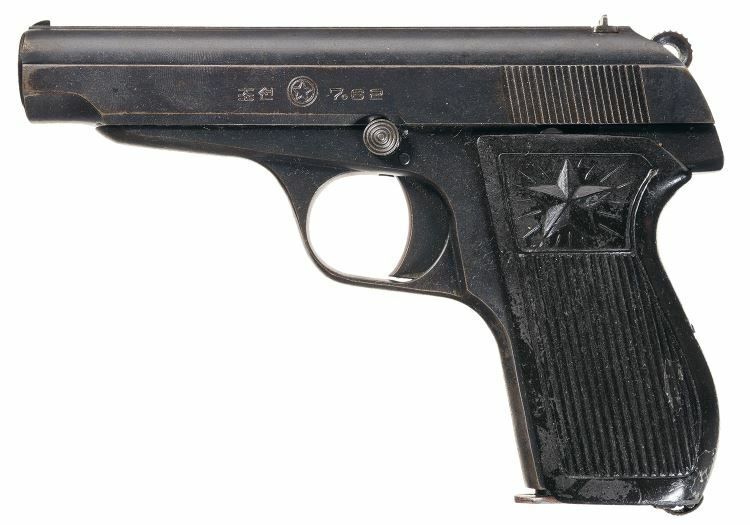 The Type 70 compact pistol was developed and manufactured by North Korean state arsenals to arm high-ranking military officers and security personnel who are required to carry handguns concealed. It is an indigenous design, simple and robust in construction. The Type 70 pistol features an all-steel construction and uses simple blowback action. This pistol has an exposed hammer and a single action trigger. The manual safety is made in the form of a cross-bolt button located above the trigger. The single stack magazine contains 8 rounds, and a magazine release is located at the heel of the grip. Sights are of simple fixed type and the plastic grip panels have a five-pointed star impressed on each side.